The natural world grows antidotes close to poisonous or harmful plants, traditional plant wisdom says. An everyday example of this is the dogweed-plant, which helps against nettle stings when rubbed onto the skin. The same principle may also be relevant at a larger scale, as it seems that interesting things are happening when it comes to fighting pollution. Various scientists around the world have recently discovered bacteria, fungus, worms and other organisms which are capable of safely disposing of plastic, oil, air pollution and even radioactivity. In 2012 a team of Yale researchers found several species of polyurethane (PUR) eating fungi in the Amazon rainforest of Ecuador. The most efficient of these was pestalotiopsis microspora which seemed to be able to grow on PUR as its sole carbon source. It thrived in both oxygen-rich and non-oxygen environments, which is unusual, but might prove a useful benefit when it comes to waste disposal. The fungus lives within a variety of plant species, and thus belongs to the group of endophytes. It causes rot and disease in its host plant. This ability to break down matter becomes exiting, however, when applied to polyurethane, one of the most common and pollutant plastics in the world today. Apparently an enzyme secreted by the fungus was responsible for the PUR degradation. This enzyme was found to belong to the serine hydrolase family of enzymes. 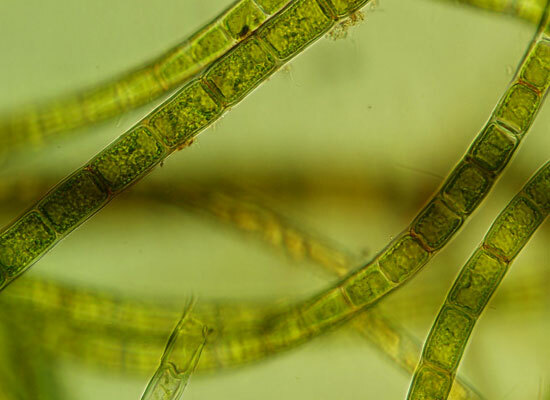 The researchers stated: "Endophytes are a promising source of biodiversity from which to screen for metabolic properties useful for bioremediation. [...] It is possible that activities against other [more difficult plastics] could be discovered using this abundant source of biodiversity." Bioremediation is 'a treatment that uses naturally occurring organisms to break down hazardous substances into less toxic or non-toxic substances'. Although forms of bioremediation were already used during the Roman times to treat their waste water, and have been commercially used in the industrial world since 1972, it has not yet provided an adequate solution to the world's problem of a vast variety of slow-to-degrade and toxic waste materials. However, discoveries of these 'waste-munching' properties of new organisms is suggesting that we may be getting much better at natural waste-disposal. The USA Environmental Protection Agency (EPA) Reports: "Contaminants [currently] treated using bioremediation include oil and other petroleum products, solvents and pesticides." American Society for Microbiology: Biodegradation of Polyester Polyurethane by Endophytic Fungi, 21 June 2011. You will also find some interesting things if you do an internet search for: 'Bioremediation News'.